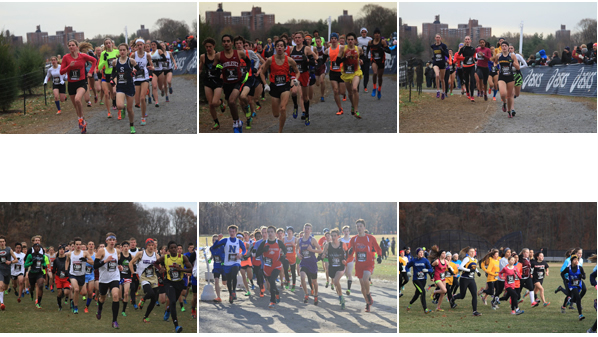 Historic VanCortlandt Park is the site of the Foot Locker Cross Country Northeast Regional. Olympians and National Champions such as Edward Cheserek, Donn Cabral, Aisling Cuffe, Cathy Schiro, and Jen Rhines competed on this storied course. Runners may only participate in one race. Medals will be distributed following each race except the Open Race. Any runner, whether they are in a public school, home school, boarding school, private school or independent school, must run in the seeded race in order to qualify for the National Finals in San Diego. • Print clearly or type information on the entry form. • Entries cannot be accepted without all proper signatures under waiver. 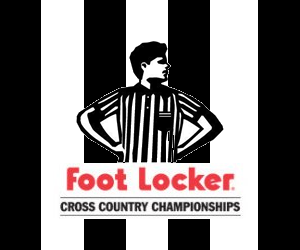 • Make $20.00 check payable to: Foot Locker Cross Country Championships. • November 9, 2017 — deadline for on-time registration. Entries received on or before this date are considered on time and will be charged the standard $20.00 entry fee. • November 10 to November 21, 2017 — entries and payments postmarked within these dates will be accepted but are considered late entries and will be charged a $30.00 entry fee. Entries may not be included in our Regional program. • Avoid late fees — enter early. • Between November 14 and November 21 — ALL ENTRIES must be made on online. Online entry closes November 21. • No refunds will be given. • No race day entries. Please do not wait until the last week to enter. • For multiple entries, please make photocopies of both the entry form and waiver. Your assistance is appreciated in having your multiple copies look like the original, same size and shape. Your group of 7 or more will be set aside as a team. Check-in at registration. Remember to mail team entries together. PLEASE, NO STAPLES. • Entries can be confirmed by checking the athlete list posted on www.just-in-time-racing.com. • Faxed entries will not be accepted. 10 & under girls and boys, 11 & 12 girls and boys will run 3000 meters. 13 & 14 girls and boys will run 5000 meters. All runners will compete in the age group that corresponds with the age he or she will be on December 31, 2017. 9th graders cannot run in the youth race. 9th graders must enter the high school division. Although girls and boys run together, medals and certificates will be awarded separately on the victory stand. This 5000 meter race is open to runners 18 years and older who have completed high school eligibility in Open (ages 18-39) and Masters (40+) divisions. 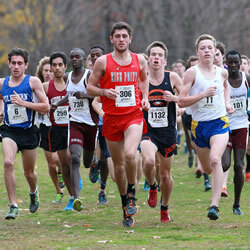 High school runners are not allowed in the Open Race. The top 20 male and 20 female runners in each division will receive medals and a backpack. There is no minimum qualifying time. Every high school runner of eligible grade is invited to the Foot Locker Cross Country Championship. Each individual should choose the race best suited to his/her eligibility. Each runner will receive a participant backpack. On Friday, November 24th between 4:00 pm and 6:30 pm, registration will be available for early pick-up at the Meet Headquarters. 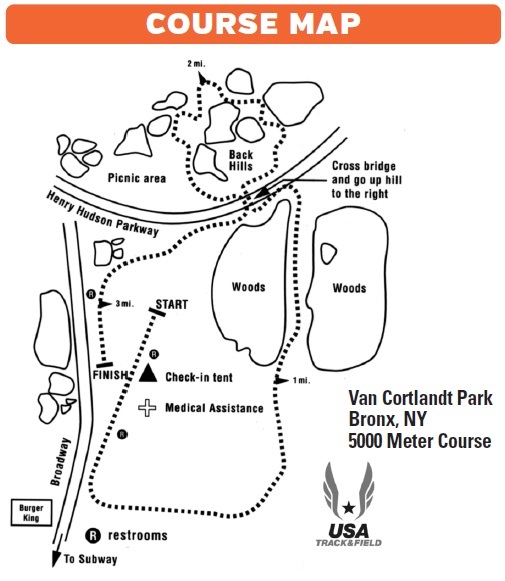 At Van Cortlandt Park (race site) Saturday, November 25th, race numbers will be available at the registration tent beginning at 8:30 a.m. and continuing until the start of the last race. All runners receive a participant backpack and a meet program by showing their race numbers at the tent. 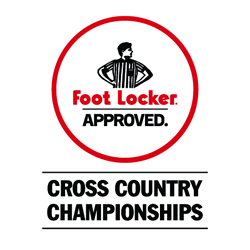 Official Foot Locker Cross Country Championships event product may be purchased at Van Cortlandt Park on raceday. The course is 5000 meters and consists of grass, dirt path and crushed rock. Spikes are permitted. The 3000 meter course for the age group races travels through the woods, up vault hill, down to the bridge, immediate left downhill to flats and right to the Broadway finish line. Connecticut, Delaware, Maine, Maryland, Massachusetts, New Hampshire, New Jersey, New York, Pennsylvania, Rhode Island, Vermont, Washington, D.C. and U.S. citizens in Overseas Military Installations. The state where a runner resides determines in which regional meet he/she must participate. Runners must participate in the region to which their state has been assigned. Boarding school students must compete in the region of their school location. Non U.S. citizens who attend high school in the U.S. and who meet the age requirement may compete. Home-schooled students may compete in the region of their residence during the school year. Every runner in every race will receive a backpack and a meet program highlighting the previous 36 years of Foot Locker races, as well as previewing this year's race. The top 30 finisher in all high school races are awarded medals. The first ten finishers receive gold medals and are First Team All-Northeast. The second ten finishers receive silver medals and are Second Team All-Northeast. The third ten finishers receive bronze medals and are Third Team All-Northeast. The top 30 in each gender receiver medals in the Age Group Races. The top 24 men and women receive medals in the Open and Masters Race. 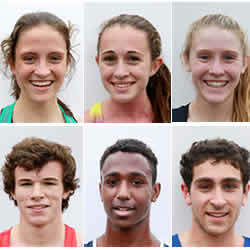 The top five boys and top five girls from each individual state will constitute that state's "team." Each individual in the top five state teams will receive a medal. They are selected from the seeded races only. Please check the results before leaving the park. Each runner placing in the top 30 in the age group and high school races receives a certificate to display indicating that these runners are on the Foot Locker All-Northeast Team. Plaques will be given to the girl team champion and runner-up and boy team champion and runner-up in the 10 & under, 11-12, 13-15 races. Five runners per team score for each gender. Club name must be on the entry form to be scored in the team race. Club name must be listed exactly the same on every entry. Please collect, neatly trim, and mail your team entries together. Check for signed waivers, payment, and completion of entry information. Every coach who enters at least seven runners as a group entry will receive a compli - mentary backpack, provided we received your entry before the deadline of November 9, 2017. PLEASE NO STAPLES. ENTER ALL ATHLETES AT ONE TIME. YOUR GROUP WILL BE SET ASIDE AS A TEAM. For those teams that may have entered on active.comand wish to have a team packet set aside; the coach is asked to e-mail pzodda@hotmail.comwith the names of those team members. 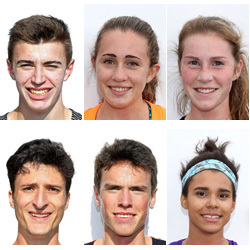 The top ten (10) finishers in each of the seeded races qualify for the Foot Locker National Finals in San Diego, CA on December 9, 2017. Take NJ Turnpike to George Washington Bridge, cross bridge and follow signs to New England, North, via the Major Deegan Expressway, which is I-87 North, to Van Cortlandt Park South exit. Bear right at exit fork and proceed North (under train tracks) one half mile. The race course is on the right, just north of Burger King. Travel time is about 15 minutes after crossing the GW Bridge. (1) Take New York State Thruway (1-87) South to Van Cortlandt Park South exit. At light at top of exit ramp, make right (west) to Broadway, and follow directions to course as above. (2) Take 1-95 South to Gun Hill road exit and proceed west until you reach Van Cortlandt Park South, and then proceed to Broadway and make right, as above. Parking is available on the streets surrounding the park and also for cars at the Indoor Manhattan College parking garage (located on 242nd street, uphill on the left side). NOTE: Keep belongings in your car trunk, not on your car seats! Please abide by all New York City parking regulations. Special rates are available from the following area hotels. 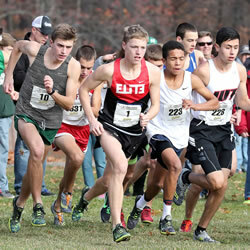 To receive a special rate, mention that you’re with the Foot Locker Cross County Championships. Call early to reserve.